Do yourself a favor - make a homemade fruit pie this summer. It’s easier than you think and your friends and family will love you for it! 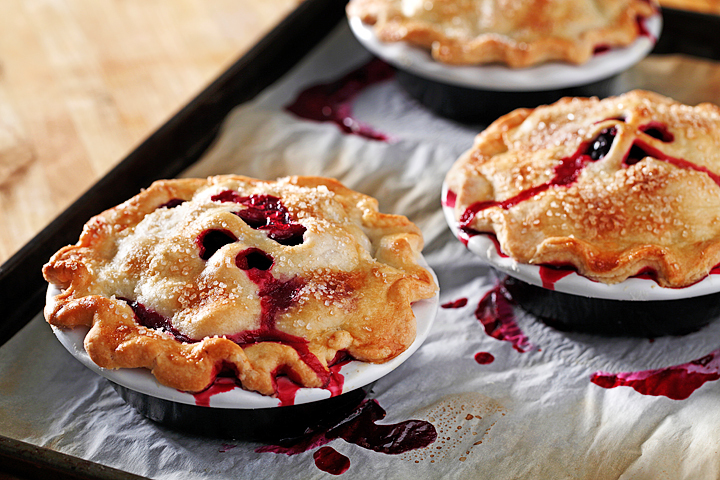 Worried your pie won’t look like a super pie from the cover of FOOD magazine? Well, stop worrying! Homemade pie isn’t supposed to look like store bought pie or the pie that you see on TV – it should look like you made it. It’s supposed to reflect the fact that you put your creativity, time, energy and love into it; and that’s exactly what your guests will see. They will treasure and enjoy it because they’ll know that you cared enough to make it for them. In a food processor, add flour, salt, and baking powder. Pulse once or twice to combine ingredients. Add cold/frozen canola oil. Pulse again once or twice. Combine water, egg and vinegar in a small bowl. With food processor running, pour liquid ingredients through the chute. Turn off machine as soon as ingredients are mixed, about 10 seconds. Turn dough out onto floured board. Divide dough in half. Wrap half of the pie pastry dough in plastic wrap and refrigerate or freeze for another time. Place oven rack in lowest position and preheat oven to 425°F (218°C). Combine rhubarb and blueberries in a medium sized bowl. 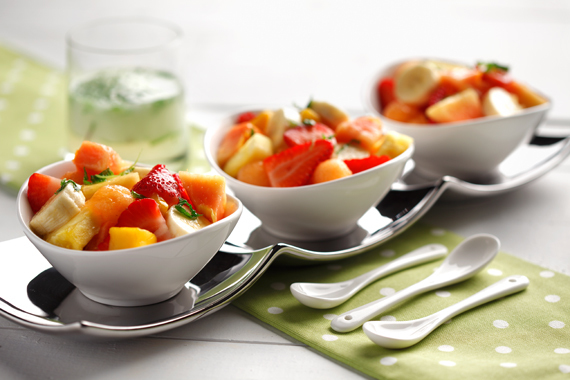 If using frozen fruit, measure the fruit before thawing then thaw fruit completely and drain well. In a small bowl, mix sugar and cornstarch well to remove any lumps. Add sugar and cornstarch to fruit, mix well. Add vanilla to fruit mixture. Pour fruit mixture into pie shell. Roll out top pie crust and place over top of the fruit. Tuck excess pastry under the bottom crust and crimp the edges. Make at least five slits in the top crust to allow steam to escape. For a shiny, golden crust, brush beaten egg on top crust. Sprinkle coarse sugar on top (regular granulated sugar will work too). Place pie on foil or parchment lined baking sheet on lowest rack and bake at 425°F (218°C) for 15 minutes. Reduce heat to 375°F (190°C) and bake for another 40 to 45 minutes. If top or edges of the pie is browning too quickly, cover edges with aluminum foil. Remove from oven and cool for 2 hours to let the filling set. Don’t worry – even after two hours of cooling, you’ll still be able to enjoy a warm slice of pie that will melt your ice cream to perfection!